NRA Facebook, Twitter accounts go silent after Connecticut shooting. 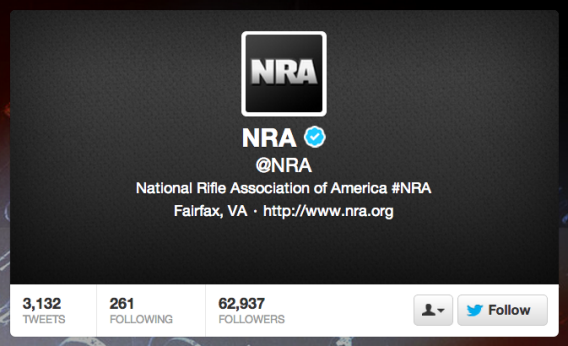 The NRA has had nothing to say on Twitter since Friday. Some have accused the organization of cowardice for taking down the Page and ceasing to tweet. However, this crisis-management strategy may be succeeding. It’s prevented creating a centralized place under the NRA banner where perspectives of its independent supporters could have been taken as its own. The last thing the NRA wants is to be characterized as sharing an extremist or offensive position posted by someone who doesn’t speak for it or the rest of its fans. Other brands and organizations might follow the NRA’s lead by retreating from social media when they face times of crisis.